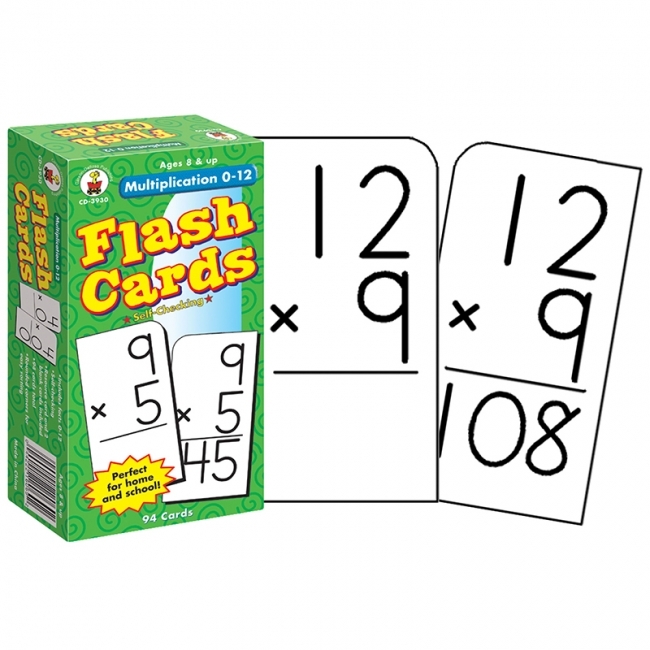 Multiplication 0-12 flash cards provide a fun way for children to practice their multiplication skills. These self-checking flash cards are an excellent way to introduce math facts, reinforce memorization, and support good study habits. This two-sided card set features rounded corners for easy sorting and includes 94 set cards (6" x 3" each) and 1 resource card. A hands-on learning tool that promotes math readiness, the Front of the Class Math Flash Cards for prekindergarten to grade 3 offer proficiency-building math facts to prepare your child for classroom success. 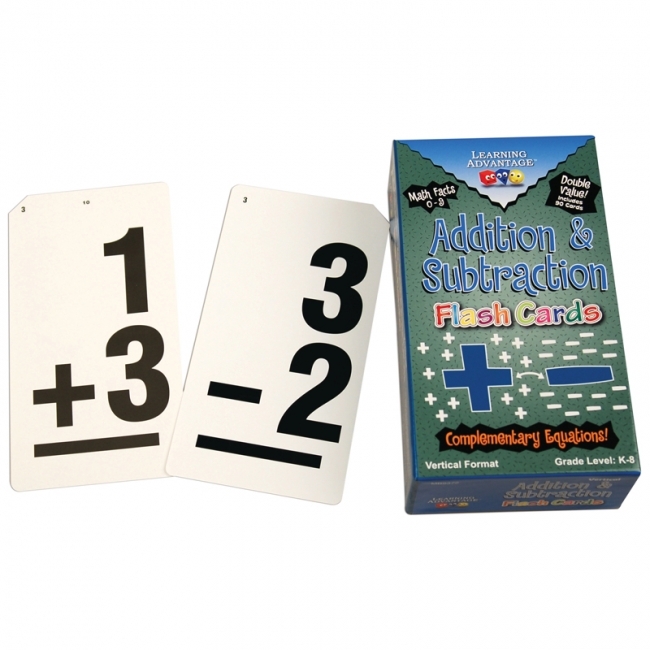 These cards provide independent practice with addition, subtraction, multiplication, division, fractions, time, and money. This pack features 324 cards, split into six decks of 54, that are separated with tab dividers for easy access and organization. Bonus parent resource cards are also included to offer ideas for fun, educational games and activities. Perfect for use at home and on the road, Front of the Class Flash Cards help children master the skills that lead to school success. 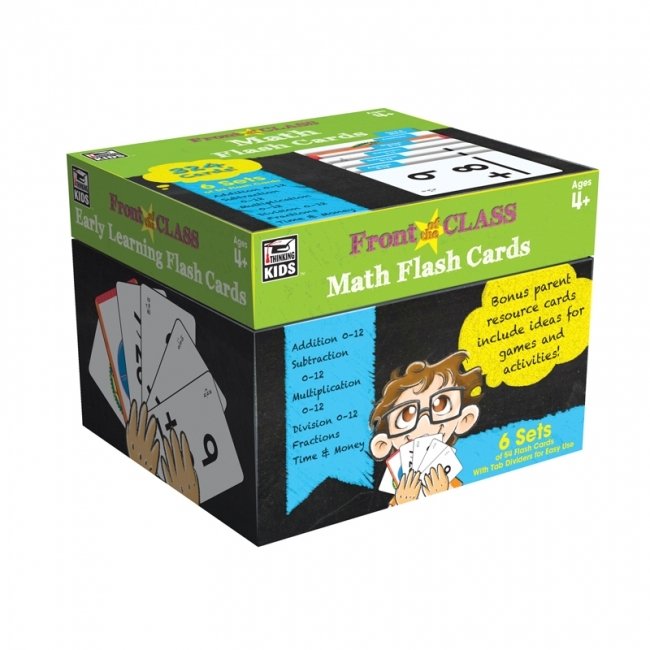 The Front of the Class Flash Cards cover a range of academic levels so that children can use them for learning, reviewing, and mastering skills over several years. 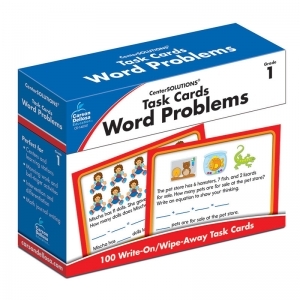 Featuring various topics, such as early reading, math facts, and basic skills, these cards can help students strengthen the skills needed for high academic achievement. 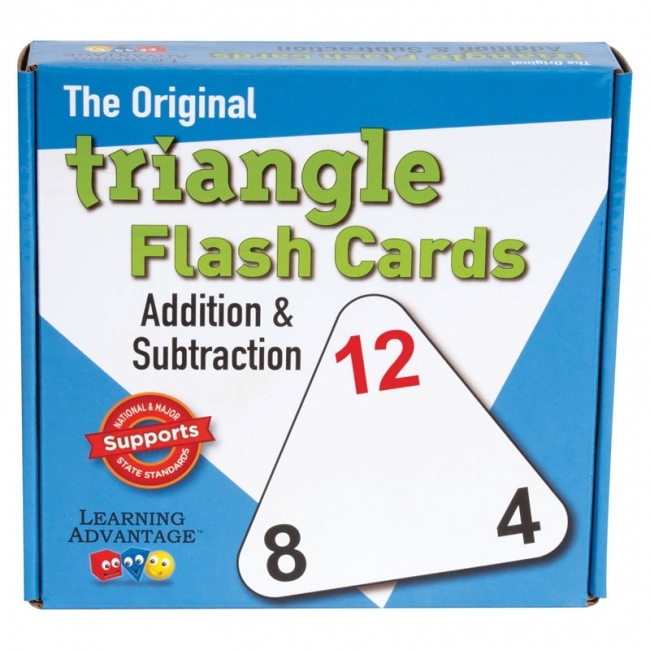 Triangle Flash Cards teach the family of facts, showing the relationship between addition and subtraction, and the relationship between multiplication and division. Math facts are shown on 20 cards. 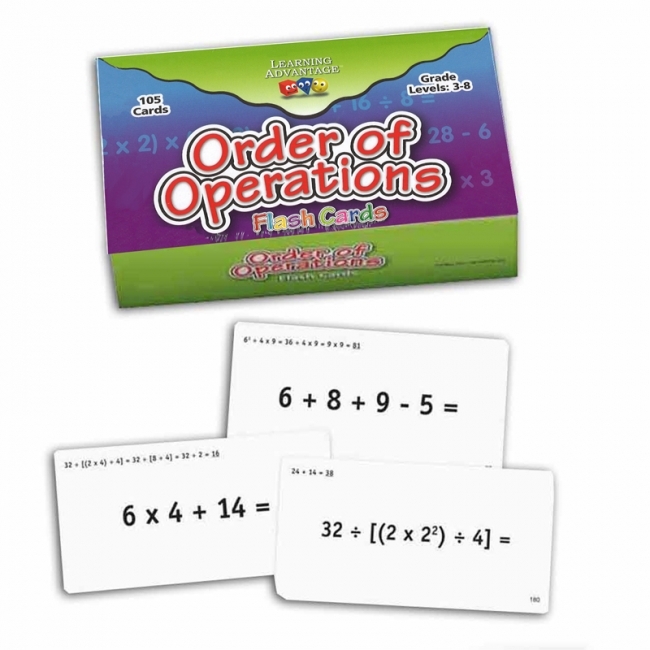 Eliminate memory overload and learn eight math facts per card! 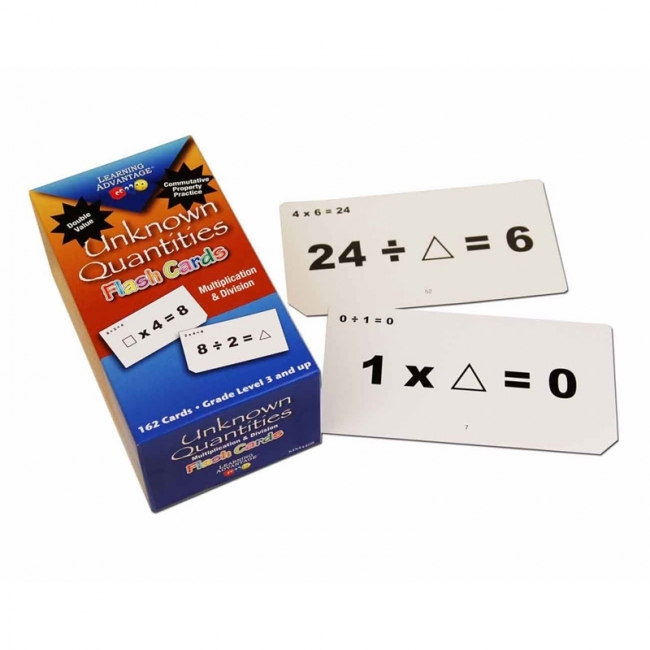 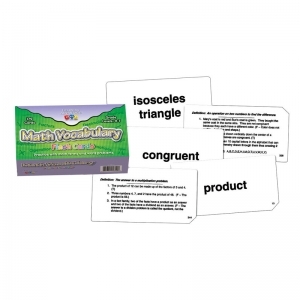 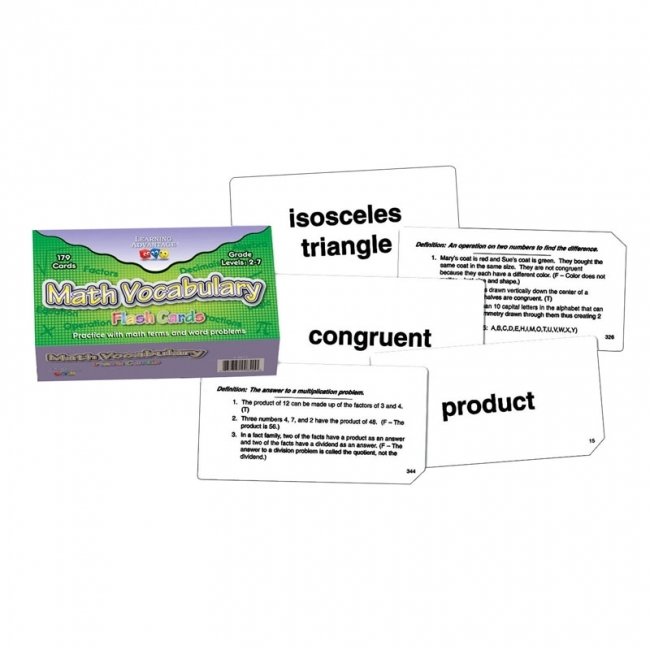 Triangle Flash Cards teach the family of facts, showing the relationship between multiplication and division. 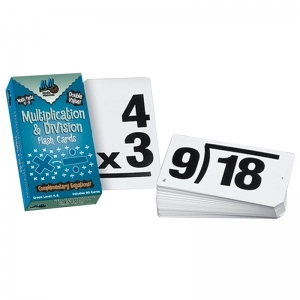 Example: 8 x 9 = 72, 9 x 8 = 72, 72 / 8 = 9, and 72 / 9 = 8. 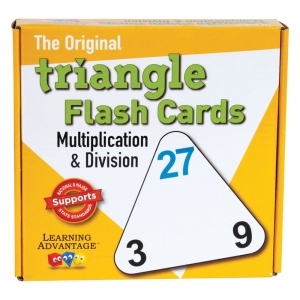 120 math facts are shown on 20 cards. 2 players. 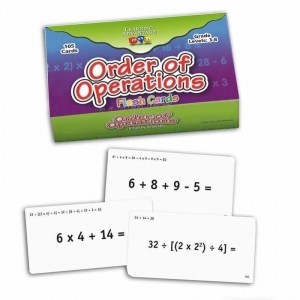 Develop student understanding of the order of operations and fact practice. Skill involves determining which operation needs to be solved first to correctly answer a problem. Deck consists of problems on one side and detailed process for solving on the reverse. Deck includes: 105 flash cards, instructional guide, games, and extension activities. GR: 3-8.